You may see a temptation classic car restoration project listed in a newspaper or classic car magazine or on the Internet that may only be one or two thousand to buy and could be worth ten times as much once it is restored. Practically though, have you the skills to carry out the restoration of the chassis, engine, interior, and the exterior? If you need to find a specialist company to undertake some or all the work your ten times buy price may just come down to zero or very little profit indeed. Indeed in many cases the cost of restoration when added together will exceed the market value of the car. If you plan to keep the car and enjoy using it then this is an acceptable an acceptable price to pay but do not expect to be able to sell the car at a profit particularly in today's "credit crunch" economy. Before you start looking – do you have enough storage space? Do you have enough working area (remember once stripped down, the bits can take up an awful lot of space). No old car likes to be kept out in the open, not even with a plastic sheet to protect it from the rain, frost and snow and even the worst masochist will not like working out in the open when it is blowing a gale! Lying on a cold concrete garage floor is bad enough but working outside in all elements typically puts a restoration project on hold permanently! Look in the local newspaper, classic car magazines, the Internet or even just take a stroll down your street. There is no shortage of old cars to buy. But what if you are looking for something special? Well, let's face it, these days the easiest place to look is on the Internet. Go to Classic Lots (link below) and you will find thousands of classic cars from a rusty Mini for £ 100 to a Ferrari for £ 500,000. This excellent site also includes all the classic cars available on Ebay. I am always cautious when it says "selling it for a friend" and yet there is no contact number for the friend so you can make personal contact. When the subject of mileage is omitted from the specification box and the description … why? Keeping in touch with reality is essential. IF IN DOUBT – CHECK IT OUT !!!! Answer those niggling questions. In the pictures you can see what looks like oil on the ground. Is it from the car you are buying? Is that mud or rust? Ask yourself four questions. Why do I want the car? How much can I really afford? How far do I want to travel to view or collect it? and then the most important question of all … Do I really know enough about these cars to commit X thousands of pounds on a piece of pretty (or perhaps rusty metal)? So, buying a classic car on an online auction? Well, I would advise you to adopt the following rules before concluding such an undertaking, and before you make a bid! Remember if you are the highest bidder (assuming if there is a reserve that it has been met) and you win the auction then you have entered a legal contract to buy that vehicle (providing the seller has described the vehicle correctly). Do not expect to go to collect the car and having viewed it to be able to haggle over the price or to walk away. Buyer beware, and if at all possible always view the car in person before you place your bids. If do not feel confident in being able to asses the condition of your prospective purchase take along someone who has the skills to give you an honest opinion of the condition of the vehicle. You may also wish to consider using the AA or RAC who both provide professional pre-purchase inspections – if the seller looks like a reference to allow this inspection walk away! If you have decided to go and see the car then arrange a viewing and if for any reason you can not make it, let the seller know, it's only courteous not to waste their time just as you do not want them spending your time . Things to take: a jack, sometimes some axle stands for safety, a torch, gloves and at the very least, a list of points you want to look at. When you get there take a quick look around. Has the car been kept outside or has it been garaged, this can give you a good indication of the condition you can expect of the body and or chassis. There are other rotting hulks just lying around, maybe the seller just buys any old junk they can find and try selling it on, not much chance of the car you have come to see having had a service any time recently. Take a walk around the car and look for the tell tale signs of sagging which could indicate suspension problems or perhaps chassis problems. Do the doors and panels line up correctly, another indication of chassis problems or sometimes the car has had a bump at some time. Is it even one car or was it once two? Any repairs? Have they been completed well or have the repairs been bodged? Do the tires match? What condition are they in? Check for rot in the body or in fiber glass cars / panels, look for stress cracks. Check the areas which are most prone to rot ie. arches, sills, doors, boot and bonnet. There are many different types of panels that can be used to effect repairs on a car and because of this the quality of repairs can vary. Check inside the car. Windows, front and rear screen, are any of them leaking? Is the headlining damaged or dirty? Lift the carpets where you can, check for water and any rot, maybe even holes in the floor? Check the floorpan and joints, do not forget inside the boot, the floor and spare wheel area. If you are happy so far with the body etc. try the engine (you did check all around the engine compartment did not you?). Will the engine start from cold? If the engine is already warm despite the seller is trying to hide something, maybe cold starting problems, maybe he had to get a jump start or a tow just to get it going? Listen for any knocks, look for smoke. If you see blue smoke on startup that quickly clears it could mean the valves are tired and leaking oil into the combustion chambers. If the smoke does not clear that could indicate a very tired engine, something that will have to be added to the budget, not only for investigation but for the repairs. Clouds of steam on startup could indicate a blown head gasket or even a cracked cylinder head. Remove the radiator cap and look for "goo". It is cross contamination and a good giveaway of cylinder head problems. Black smoke, probably just an over rich mixture but could just as easily be a worn carburetter. Knocking. 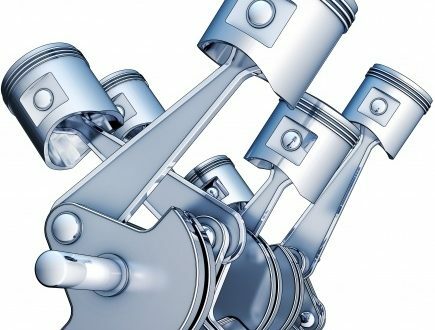 Well, it could be for a number of reasons, light tapping on the top of the engine could be a worn camshaft or a small end on its way out. Knocking from underneath could be a big end bearing breathing its last. An expensive repair. A rumbling noise could be a main crank shaft bearing on its way out, yet another expensive repair. Check the various hydraulic fluids and water levels. Look for any stains around the compartment and on the engine. Does the radiator smell of anti-freeze? Is there any oil lying around? Not a good sign. Keep the engine running for a while, some problems will not show up until the engine is warm. If the car is driveable, take it for a spin. How does it "feel" on the road, does it "pull" to the right or left? Is the clutch "spongy" or firm? Does browning throw the car into oncoming traffic? (eek!) Wiggle the steering wheel, any clunks? When you accelerate does the car lurch in any particular direction? OK so far so good. Now, the car may be 20 or 30 years old so it is not going to have all original parts. Brake shoes, clutch, spark plugs, points etc .. if they are the original parts, they are not going to be working very well by now! But seriously, if you are looking at an older car, does it have any of the original panels? Is the interior original? These points can add value to the car but the seller may try to pass off parts which were made last year in China as "original parts". Check the paper work. Does it have all of the required paperwork with it? Check the logbook, a very good place to start and do not be fobbed of with "We have just moved house and can not find it at the moment, I will post it on to you ..". Never buy a vehicle without a logbook unless you know exactly what you are doing. It is also useful to have any old MOT certificates and any receipt are good as well. How much to pay? Well, the actual value of a classic car will vary significantly. It depends on condition, make, model, year and of course, what is it worth to you? Just how much would you pay to have that special car sitting on your drive at home? Be realistic! Just because you can is not a good enough reason to buy a chassis of a 1926 Rolls Royce if you have no idea where to get the rest of the car and no idea of ​​what to do with the parts if you can get them. Providing you followed the advice above on checking the car over, you should have a good idea of ​​whether you are bidding for a car you can drive away or one that will take months before it even has wheels. If you read the magazines, talked to the owners club and browsed the Internet to get a good idea of ​​what your aimed for car is selling for, then you should have a price in mind that you will pay for the car depending on its condition. only you know what you can afford to spend, or borrow. Use classic car magazine price guides and real adverts to see what your classic will cost to buy. Ideally hold back 10 percent to cover any unexpected problems. Calculate running costs by looking at mpg figures. Get insurance quotes: classic cars can be covered on cost-effective limited-mileage policies and are often surprisingly cheap to insure. Remember also that pre 1972 vehicles also have no road fund license to pay. Talk to owners about how expensive your classic will be to run. Get an anorak! No really – buy some books on your classic classic, read magazines and become a classic-car bore. Research on the Internet and visit Classic Car Shows to talk to owners. You can never know too much. Select a range of examples available … and do not let the cash burn a hole in your pocket. There are thousands of cars for sale every day so be patient, if it is not there today, it will be soon. Check the sellers location – are you prepared to travel to inspect and then collect the car if you win the auction. Do you need to consider the cost of having your new pride and joy collected by a car transport service or could you hire a trailer and collect it yourself? Check out the seller. Read all the feedback for the last three months, negative feedback should ring alarm bells Ring him / her and get to know about your seller. Why is it being sold etc. Things like "Why are you selling the car? ", "Does it come with any spare parts? ", "How long have you got it? ", "Does it have any history?" MOT's, recepts etc. can be helpful for the rebuild. If you know any specifics about the car you are inquiring about then ask any of the questions you feel you need answers for. It could save you a long drive and time away if you have the necessary information before you leave. In the event of a car being sold as an MOT failure, ask the seller to specify the list of failures, then give your local garage a ring and ask them to give you a quote for the work that needs to be carried out. this will give you some idea of ​​the costs involved in getting the vehicle through its MOT It will save you time and money in the long run, no point in bidding on a vehicle that is going to be to costly put back on the road. If the seller is a trader passing themselves off as a private seller and they are willing to lie about their status what else are they willing to lie about !! If the vehicle is being sold by a private seller, ask them how long they owned the vehicle for? is the logbook registered in their name and at their home address? if it is a genuine private sale, then the answers to the above questions should be yes !! if the answer is no to any of the above walk away. A few examples of the excuses usually given by traders posing as private sellers for not having the vehicle registered in their name "I bought the car for wife / husband or family member and they do not like it" "insurance to high" (people will usually always get an insurance quote before buying a car) "wife / husband did not like the car" "too big or too fast" or "they failed their driving test" "I bought the car as a stop gap"
A reputable trader should and will dislodge the fact that they are a trader, remember if you buy through the trade they may have certain obligations to rectify any problems with the car. In the event that you have bought the car without prior inspection, before you go to collect the car, print out the item page and take it with you. If the seller has mis- described the item in anyway, you will have proof in your hands to argument your case. If buying from a private seller, always meet the seller at their home address which should match the address the car is registered at. If there is a problem at least you will have an address to go back to. Do not agree to "meet on the Tesco car park as it will be easier than finding my house"
What's the worst that can happen if you walk away? the seller will give you negative feedback. its better to have one negative feedback than a car which is going to cause you lots of problems and cost you time and money. You can always anger your case with the online auction site and you may get the feedback comment removed. As a winning bidder you have a legal obligation to complete the transaction, however the seller has a greater obligation to be honest about themselves and the item they are selling. If the seller has misdescribed the vehicle and you do not complete the transaction they are very illegally to take legal action against you for not completing the deal. Remember though if you simply change your mind and walk away without good reason the seller may take steps to recover the money from you.